We were so excited to have the staff of Clink Events visit Sage Hill Inn for their corporate retreat! The weather was perfect and the team took advantage of the great facilities for meeting space, break out groups, meals and socializing. Sage Hill Inn & Spa is the perfect setting for a corporate getaway. 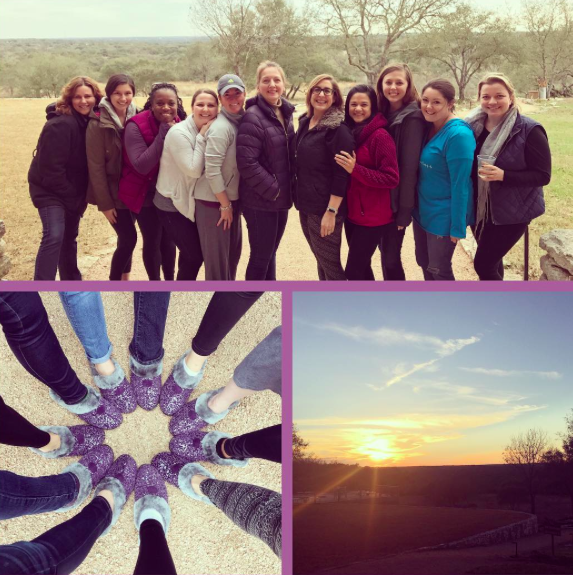 Centrally located in Texas and just minutes from Austin, the Inn offers a quiet and reflective setting that allows a business team to regroup, focus on their core strategies, practice team building exercises and more. Imagine after a day of meetings your team comes out energized, stays together for dinner and enjoys the night around the fire pit, going for a hike, throwing some horse shoes or washers, or relaxing in the new 12 person hot tub. The experience has kept groups coming back for years. There has never been a better time to book your group at the Inn!